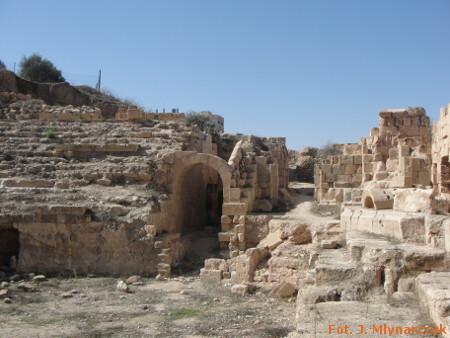 The Polish Centre of Mediterranean Archaeology, University of Warsaw, launched a research program in Beit Ras in Jordan, the site of the ancient city of Captiolias. The archaeological mission, is a cooperation between the PCMA and the Department of Antiquities of the Hashemite Kingdom of Jordan. The Polish side of the project is directed by Prof. Jolanta Młynarczyk. The city of Capitolias was described by Claudius Ptolemy, a geographer of the 2nd century AD, as a part of the Decapolis, that is, a group of ten Graeco-Roman towns in eastern Palestine. Among them were modern capitals, such as Damascus in Syria and Philadelphia (Amman) in Jordan, as well as Scythopolis (Beth Shean) and Hippos (both of them in today’s Israel) and Gerasa/Jerash and Gadara (in Jordan). As this was the first season of work at the site, the main objective was to establish the nature of architecture once present at the northern slope of the hill occupied by ancient Capitolias – the only part of the site which is not built over by the modern city – in the vicinity of the well-preserved remains of a 2nd century theatre. 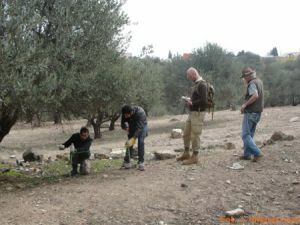 The four-person strong archaeological team conducted an electric resistivity prospection of the area, to detect any architectural remains hidden beneath the ground, and collected pottery sherds from the surface, to find out about the chronological framework of the settlement. The ceramic forms proved to date from the 2nd to the 12th/13th century. The alignment of walls registered in the electro-resistive scan seems to agrees with that of the streets of the Roman-period Capitolias. Other artifacts collected during the survey included fragments of roof tiles, tesserae (mosaic cubes) and several coins. However, the most important finds were lumps of “raw” glass, slag and production wasters which point to the existence of glass-production workshops in the area. The forms of glass vessels found in the area can be dated to the Byzantine–Umayyad period (6th–7th century). There is also some evidence that other artisanal installations, such as pottery workshops, were active there as well. It will be the task of the next season to verify these hypotheses during excavations.